By this time I've read hundreds of articles, reports and studies on the Monsanto/Now Bayer product called RoundUp. A widely used herbicide ued extensively across the US and in other countries around the globe. It is the foundation of GMOs - Genetically Modified Organisms, which are deeply and widely suspected of being the cause of so many growing health epidemics such as diabetes, autism, Alzheimers, autoimmune diseases, IBS and others. The problem has been evidence and PROOF. Yes the story is quite sordid and involves the usual suspects...Corporate interests and money/process-blinded bureaucrats that couldn't care less about any people, Americans or others. The following article pulls together the biological processes AND the evidence/PROOF obtainable only through a fulfilled FOIA request for corporate filed government documents. The facts are: 1) Glyphosate binds to METALS and prevents plants from taking up minerals and nutrients necessary for it's providing nutrients and minerals to animals and people - vegetables no longer provide the essential nutrients for animal and human health and, 2) glyphosate displaces/replaces glycine which is a key component to proteins. In the human gut the glyphosate works to kill off the necessary good bacteria that that releases these nutrients from food for our bodies to use. This allows the the bad bacteria to take over which triggers the immune system which turns our own immune system against us.. Ultimately glyphosate, by attachment to proteins reaches in to our cells and those cells become dysfunctional by lacking the proper nutrients and enzymes to function. Because of this insidious action doctors are perplexed as to the causes and cures of failing health problems which seem to "cascade" throughout numerous body systems simultaneously. What does Monsanto's 'Roundup' do to you? Stephanie Seneff is a Senior Research Scientist at the MIT Computer Science and Artificial Intelligence Laboratory. In the last few years she has focused her attention on studying the way glyphosate, one of the ingredients in the weed Killer roundup, affects the human body. She has not proven anything yet but has brought some compelling clues to the surface. There is a great need to understand the health effects of the most-used agricultural chemical ever. Ms. Seneff's interest in glyposate began when she heard a lecture by Don Huber, Professor Emeritus of Plant Pathology at Purdue University. At the time she was researching what was causing the autism epidemic. Most of the research funding for Autism was focused on genetic causes. This would mean the body was inherently defective as opposed to some outside force causing a drastic change in the body. Ms. Seneff knew that genetics do not change very fast but autism among children is increasing at an alarming rate. Because of this she was looking for causes outside the body such as changes in our environment. In his lecture Professor Huber was talking about the gut microbes (bacteria in our digestive tract). Ms Seneff was already aware one commonality in those affected by autism is massive disruption and abnormal functioning of the gut but she wanted to know why it was happening to these children. If you look at what glyphosate does to biological systems and look at what is characteristic of autism you will find a multitude of matches said Ms. Seneff. Since hearing Professor Huber she has spent the past six years studying the molecule glyphosate. Glyphosate binds to metals or minerals especially cobalt and manganese. This is one way it kills plants. It works by withholding micro-nutrients and depriving plants of nutrients necessary for enzymatic functions. It also turns off these functions in humans. Glyphosate disrupts methylation and liver enzymes that allow our bodies to detoxify harmful substances we come in contact with everyday. This can cause a person to develop chemical sensitivities. According to Professor Huber it is one of the most broad spectrum antibiotics whether acting in the soil or in our digestive tract and extremely low levels of glyphosate, levels 40-800 times lower than what is permissible in food products is toxic to the beneficial bacteria that are essential in our own bodies. Among other things these bacteria produce vitamins essential to our well being. Monsanto claims glyphosate is safe because it disables the shikamate path way in plants causing them to die. And human cells lack the Shikimate pathway, which is found in plants and bacteria. This is true but the additional truth that is not being told is that our bodies contain trillions of bacteria which play crucial roles in maintaining our health and glyphosate harms them by the same pathway. Ms. Seneff states glyphosate starts out by killing the good bacteria in your gut. Once this happens harmful bacteria can thrive and over grow. This causes the immune system to target the gut to fight the harmful bacteria and this causes inflammatory gut. Ms. Seneff hypothesizes the immune cells are then harmed by glyphosate. Non Hodgkin's Lymphoma is a direct attack on immune cells in the body called B-cells. These cells try to build antibodies but cannot. Antibodies are protein, the process that creates them is disrupted by glyphosate. She also hypothesizes that these faulty immune cells built with glyphosate are improperly targeting healthy cells in the body causing autoimmune diseases. The protein called AID when built improperly can cause autoimmune disease, immune deficiency or cancer. She came to this conclusion she said because it is what you would expect to happen if glycine were swapped out for glyphosate. Glyphosate is a glycine molecule with extra stuff attached to it. Remember when we eat protein, protein is made up of amino acids and glycine is an amino acid. Rich food sources include gelatin, bone broth, various meats and seaweed. When the body is creating new proteins it regularly uses glycine. Ms. Seneff's theory is that the body is mistaking gylphosate for glycine thus building our body out of this weed killer molecule. Therefore glyphosate is getting stuck into random proteins at random places in the body where glycine should be. Monsanto says it is not possible for glyphosate to replace glycine in proteins in the body. However Monsanto's own unpublished report from in 1989 obtained by FOIA seems to indicate Ms. Seneff is right. Researchers exposed bluegill sunfish to radiolabelled glyphosate and then measured the amount of radiolabel in various tissue samples. They also measured for glyphosate using standard techniques, and they found only 20% of the total glyphosate they started with. Where was the rest? 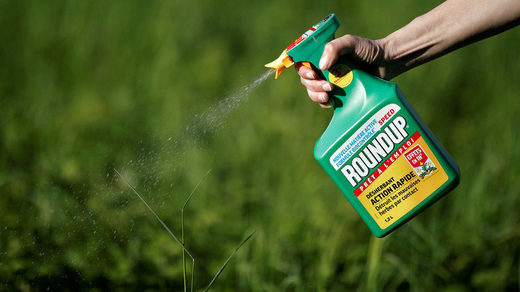 They got the idea to apply enzymes to break down the protein into individual amino acids and after this the amount of glyphosate detected rose to 70% of the radiolabel. They concluded perhaps the glyphosate was incorporated into the protein. Ms. Seneff notes obesity, autism, diabetes and Alzhiemers, can all be explained by specific proteins being badly affected when glyphosate substitutes for glycine in the body. Our digestive enzymes all have essential glycines in them. If the glycines are replaced by glyposate we won't be able to digest our food properly. Digestive enzymes sourced from pigs tested high for glyphosate. This suggests that it is possible for our enzymes to also become contaminated with glyphosate. Because people do not believe glyphosate, the main ingredient in Roundup, is toxic it is being used carelessly. Glyphosate has a unique mechanism of toxicity and this is what makes it insidiously cumulatively toxic. Over time various proteins in your body get disrupted and eventually something breaks and you get sick. When scientists' research comes to conclusions unfavorable to Monsanto (now Bayer) they pressure the institutions to fire those employees. Monsanto actually has a budget assigned to striking down scientific research that reveals the dangers of their products. We are in a situation with a lot of unknowns. Monsanto's own documents as early as 1981 showed rats exposed to glyphosate developed malignant lymphomas. These studies were never published. They were obtained from the EPA. Glyphosate is pervasive. Most tobacco is now sprayed with roundup, ethanol in the gasoline is made from roundup ready corn. Live viruses in vaccines particularly the MMR vaccine contain glyphosate. Cotton clothes, tampons and cotton seed oil (in many potato chips) are made with roundup ready cotton. Sugar, vegetable oil, corn and wheat encompass the main ingredients in packaged foods. Sugar can be from roundup ready beets. Most restaurants cook with canola, soybean, or corn oil. One researcher found glyphosate in 30% of human breast milk samples the highest concentration being 1,600 times higher than what is allowed in drinking water in Europe. Scientists are finding it in the ambient air and coming down in the rain water. You can avoid it but you can't get away from it. You can reduce your exposure by only buying organic foods. Farmers markets can be more affordable than grocery store organic produce. If we refuse to buy food with roundup on it the farmers will have to stop using it. Regarding non organic foods, imports from Mexico have tested lower for glyphosate than those from the US and Canada. And don't buy roundup weed killer. Benonite clay can bind to glyphosate but apple cider vinegar can actually break down the glyphosate because it contains acetobacter. Other foods that also contain acetobacter and can break glyphosate down are sauerkraut, and kimchi yogurt. Chloride and ozone can also break it down non-enzymatically. Check out the book 'Poison Foods of North America' by Tony Mitra if you want to know which foods have how much glyphosate. And it is not just in GMO crops. It is sprayed on a lot of crops right before the harvest. Glyphosate is high in oreo cookies, goldfish crackers, and cereals. These are many of the foods children like. I remember 25 years ago it was said that Roundup was safe and ecologically “natural”, that after 3 days it broke down into its natural elements. Where’s that laughing hysterically imogee...?